treatment of intervertebral hernia treatment in the center of physical rehabilitation "Spine Ambulatory"
Intervertebral hernia is a rupture of the intervertebral disk of the spine. Spinal discs are located between the vertebrae – it is a cartilage with a nucleus that “glues” the vertebrae and absorbs it. A rupture of the disk and the entry of the disk core into the surrounding vertebral space is called an intervertebral hernia. A disk rupture is possible due to lack of food and low water component of the disk (dehydration of the intervertebral disc) – the disk loses flexibility, “dries” cartilage. When overloading (lifting of loads, sneezing, coughing, which leads to a sharp reduction in the muscles of the back and pressure on the spinal discs), the layers of the disc shell gradually break through, reaching the core of the disk – the core penetrates the vertebral canal. The process of forming a hernia can go unnoticed. In some cases, parts of the nucleus can create inflammatory processes near the nerves of the spinal cord – there is back pain. Inability to perform amplitude movements in shoulders, elbows, brushes. Severe pain in the neck, chest, legs, hands. The sensation of pain increases during inclination and sitting, especially in the chair. The pain may appear during coughing or sneezing. Pain accompanied by fever or chills. Chronic pain after prolonged stay in a sitting position or standing. The pain is accompanied by a loss of control of the operation of the bladder or of the intestines. Long lasting pain in the abdomen and lower back. Acute back pain after lifting heavy objects or physical activity. 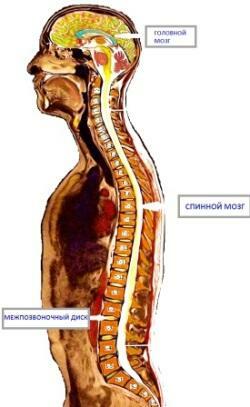 Failure to stand straight without the tension of the muscles of the back. 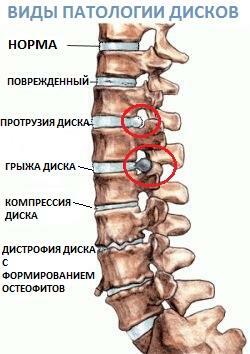 Dull pain in one area of ​​the spine in a position lying or rising from the bed. Back pain that irradiates from the lower back in the buttocks, down the back / front of the thigh, in the knees, legs, toes. Many patients who experience weakness in the muscles of the lower extremities, have back pain and pain in their legs is diagnosed – the intervertebral hernia of the spine. Intervertebral hernia (extrusion) may be one, and maybe several at once in different parts of the spine. The hernias of the intervertebral disc are not always accompanied by back pain. In such cases, the treatment of intervertebral hernia is not necessary. It is recommended to observe the natural motor regime without overload, proper nutrition and water consumption. At the same time, extrusion can become a provocative factor for inflammation in the vertebral segment / segments and to participate in the formation of other diseases of the spine. Therefore, for the correct determination of the degree of damage to the vertebral disc, diagnosis and the choice of proper treatment, it is necessary to undergo a doctor’s examination. Do not hurry to do a hernia removal surgery! In the nature of man laid compensatory mechanism. Take time to restore the deep muscles of the spine, the ligaments, the spine joints – work with the spine compensates for the load on the intervertebral discs. Restoring the metabolism of the back tissue can eliminate edema, remove internal pressure on the affected nerve roots. What to do with hernia spine? Is it possible to work on a Cypress exercise machine? Sergei. I am 45 years old, there are two hernias in the lower back, while there is a problem with overweight - 125 kg with a height of 180 cm. All the doctors at which I was at the reception say that in connection with this treatment can be difficult. Can I practice on your simulator and, if so, will it help to solve the problem with hernia? Classes have no restrictions on weight or age. As for efficiency, it will be directly proportional to your approach to recovery. There were cases when after a course of classes the weight decreased, because in the process of training, the metabolic process is restored not only in the back, but also throughout the body. My mom was engaged in Cyparis a couple of years ago, she had a protrusion in the cervical department and an intervertebral hernia (hernia of Shmorl) in the back. Thanks again to Maria Vasylivna and Volodymyr Petrovich. During my pregnancy I found hernia of the spine, besides this, I also have a small scoliosis. After the birth of a child, back pain is not so disturbing, but I decided to fix the situation with my back while I am in the decree. When there was a complete examination in the clinic, he talked to the doctor about Cypress. It turned out that information about your technique and simulator does not possess not only him but also his close colleagues. Despite the fact that I gave an example of successful treatment of my mother's spine and her friends, the doctor looked pretty skeptical. At the same time, at the end, I formally appointed me all the same procedures that my mother departed every six months for several years (not Cypress) + sanatoriums, hoods, etc., and which did not really help her. Why do not you go for a special treatment for such "specialists", which, judging by the number of queues in clinics, is an army ?????? Thank you for your feedback and for the questions. I think you understand why we can not afford to convey information about the methodology to each neurologist, orthopedist or traumatologist. Medicine is a science that can not remain in place. Every minute in the world there are new researches, new methods are created and new drugs are registered. A doctor in an ordinary clinic can not be constantly informed of all the latest advances, even in his area. 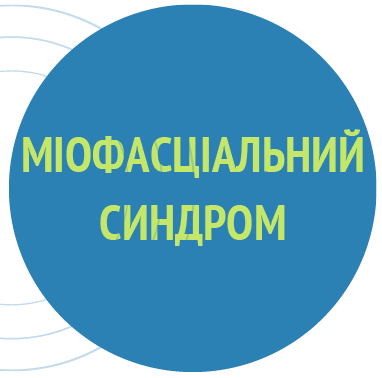 Though our methodology is based on ancient teachings about natural medicine, in Ukraine it is registered and works relatively recently – since 2001. 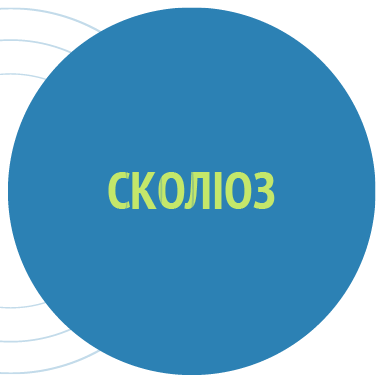 During the work of the Center for the restoration of lost functions of the spine “Cypress” – the technique showed almost 100% efficiency in the treatment of patients with acute critical diagnoses and symptoms of the spine diseases (such as hernia of the intervertebral disc, protrusion of the disk, limb of the sciatic nerve, spondylolisthesis, stenosis, treatment of osteochondrosis, scoliosis in children and adults, vegetative-vascular dystonia, neuralgia, sciatica, etc.). First and foremost, we direct all our efforts to provide back care services (treatment of osteochondrosis, hormone shropor, protrusion, treatment of intervertebral hernia). Two centers for the treatment of diseases of the spine have been opened in Kiev, a cabinet “Cypress” has been operating in one of the sanatoriums in Truskavets for several years. 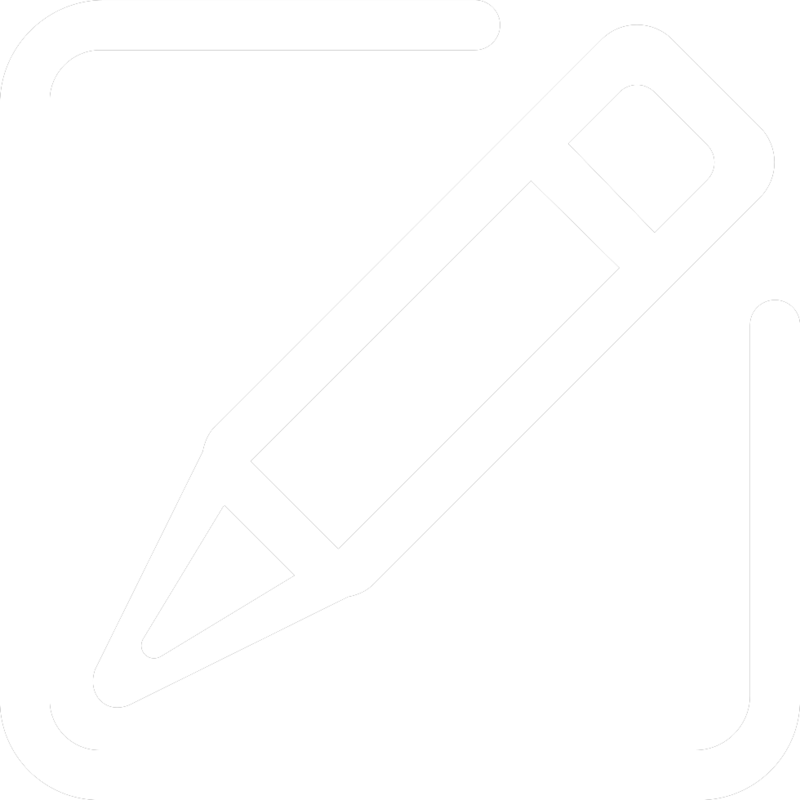 As a rule, popularization of the method itself does not always have enough resources. 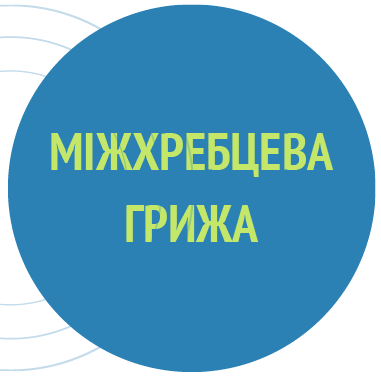 At the same time, we are taking part in Ukrainian and international exhibitions devoted to treatment and rehabilitation, publish articles and reports in the publications. As for your problem, we will be glad to offer the services of our Spine Ambulatory. Good day. My name is Dmitry. I'm 27 years old, 187cm high, 97kg, I'm doing bodybuilding for over 7 years. After one of the classes, the next day I felt pain in the lower back. He turned to the neuropathologist after consulting, after 5 minutes of examination he appointed MRI. For MRI: in the series of sagittal and coronary and axial MRT incisions in T1 and T2 regimes, moderate uneven sclerosing of the closure plates and boundary compaction of vertebrate bodies with aggravation of adjacent contours without signs of spondylolisthesis appears; hypertrophy of lateral processes L5 is greater without signs of degradation; uneven drop in height and cells of dehydration of L4-S1 segments, displacement between L4-L5 at the end = 4.8mm, L4-S5 displacement at the end = 1.3mm: pathological formations of the spinoconductor channel were not detected. CONCLUSION: MRI-picture of the prolapse of D. L4-L5 and insignificant protrusion of D. L4-S5 against moderate manifestations of osteochondritis. lumbar spine with signs of partial sacralization of the vertebra L5. Having reviewed the data of MRI, the doctor put a terrible diagnosis: this illness is not curable and I will have to leave the sport for life.. Lying on an even bed. A little bit I / m 10 days. Question: 1) Is it possible to cure this disease. 2) You may continue to practice bodybuilding. 3) Will this treatment be effective? * continue your athletic career. 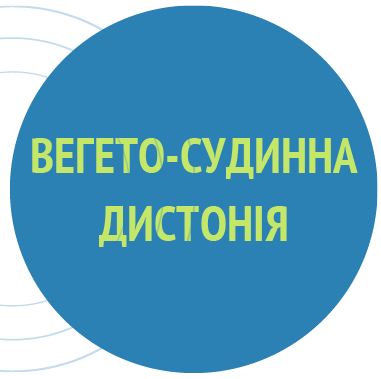 In the first case, the treatment you are prescribed will help you to get rid of back pain for a while if you stop further sports, but such treatment is unlikely to be able to return the discs and vertebrae to its previous condition and, of course, will not relieve you of the diagnosis. Continuation of sports will be in question, because the pain symptoms will accompany any back load. At the same time, your age and the body will allow you to cope with the difficulties yourself if you give it such an opportunity. All that you need is to change the nature of physical activity for a while, directing it to static stretching, with maximum relaxation of the muscles of the back (and other muscles of the body). Relaxation of the muscles of the back will allow the stretching of the spine (to remove the pressure on the intervertebral discs), and will remove the blockade of microcapsules and nerve endings, which will facilitate the restoration of the metabolic process in places where it was violated. We invite you to consult our outpatient clinic where you can find out more about the nature of the disease and identify an individual recovery program. The sooner you can start your back, the faster you can go back to the sport. If you continue to play sports, despite the pain – your career can suddenly stop at some point. Many athletes, choreographers who have gone through our rehab programs have returned to normal loads already with an understanding of how to work with the backbone. We wish you health and success in sports. Hello! Two years ago I was diagnosed with intervertebral disc herniation sequestered L5-S1 8 mm, Schmorl's hernia S1-S2 and L4-L5. At that time, pain in the lower back appeared only after random loads on the back, so it didn’t pay much attention. After the recent weeding, it was already hard to get up and began to pull the thigh. Those familiar with the same problem recommended to see a doctor, but the doctor said that I could not go to Evminov’s board and offered injections and pills (which I don’t want). How to be? Maintaining your point of view: in fact, drug treatment and blockades only work effectively for a short time. Their action is aimed at suppressing the sensation of pain, but not at the causes of its occurrence. If we talk about eliminating the cause of the intervertebral disc herniation (Schmorl’s hernia, disc protrusion), then it is worth thinking about restoring the metabolic process in the stagnant, pathologic tissues of the spine and parallel restoration of the health of the muscles responsible for maintaining the correct structure of the vertebral joints, intervertebral discs and themselves vertebrae. Considering the intervertebral hernia in your lumbar region, it’s really not safe to work on Evminov’s board (which the doctor warned about) because the geometry of the Evminov board and the nature of the loads will create a compression effect. In turn, Cypress was developed specifically for working with such pathologies, which consists both in the arcuate form of the device (at the initial position of the body on which the spine assumes its natural position, relieving all compression moments and relieving pain symptoms naturally) and in the technique – when “step by step”, avoiding unnecessary loads, we restore the natural mobility of each individual joint (hands, arms, shoulders, ankles, knees, hip joint, etc.). The very nature of such movements is absolutely safe, because they are almost the same as movements in our daily life, BUT – you will perform movements RIGHT, in a SAFE position (which guarantees the absence of pain in the back), CONSCIOUSLY and with the right BREATH. The synergy of these factors forms a powerful therapeutic effect that has made our method popular. Is it possible to practice on a simulator with a hernia, it is difficult to walk, recently I cannot find a position to fall asleep normally (diagnosed 1 year ago, until we decided not to operate)? Correctly decided. Engage in a hernia can and should be. Moreover, painful symptoms that you have encountered are difficult to diagnose – a hernia can be, and most likely, not the only problem. Hernia is a consequence of the general weakness of the muscles, ligaments and joints of the spine, the lack of tone in which allows the vertebrae to create excessive pressure on the intervertebral discs, which leads to protrusions and hernias. Our out-patient clinic successfully restores the lost functions of the spine. Sign up for a consultation and come!